Raised in the Mexican state of Baja California, Romero was 10 years old when he moved to Los Angeles to join his family, said The Washington Post. The night before the primary, he delivered room service to Kennedy and his aides. Romero stood gaping as the senator approached, shook his hand, and said, “Thank you.” “I will never forget the handshake and the look,” Romero said. 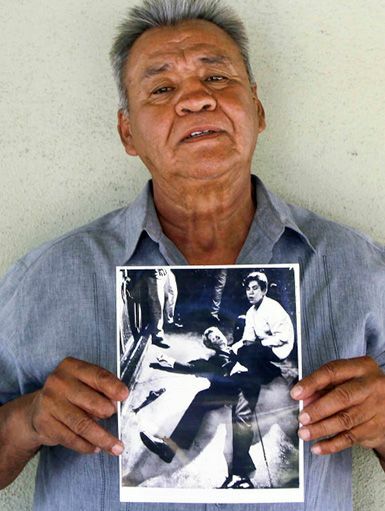 “He wasn’t looking at my skin, he was looking at me as an American.” When Kennedy passed through the kitchen the next night, Romero was eager to congratulate him. But as they shook hands again, Sirhan Sirhan, a 24-year-old Palestinian immigrant, opened fire. As news photographers rushed over, Romero took his own rosary beads from his pocket and placed them in Kennedy’s hand.